The “Medical Humanities: Health and Disease in Culture” area for the 2014 Popular Culture Association/American Culture Association meeting in Chicago, IL invites presentation proposals related to the portrayal of health, illness and health care in the discourses of popular and American culture. Proposals representing perspectives in the humanities and the arts (e.g., film, history, literature, visual arts), social sciences (e.g., anthropology, cultural studies, sociology) and mass media (e.g., print or electronic journalism) in historical or contemporary contexts are welcome. Individual and full panel proposals are considered. For full panel proposals (generally four persons) please include titles and abstracts for all participants. 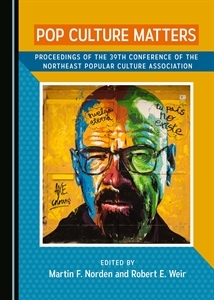 Proposal abstracts of 100 to no more than 250 words must be submitted online at the PCAACA website at: http://ncp.pcaaca.org The deadline is November 1, 2013.